For many growers, the addition of new and interesting crops is one of the most exciting parts of gardening. Whether looking to expand variety in the kitchen garden or seeking to establish complete self-reliance, the addition of oil crops is an ambitious undertaking. 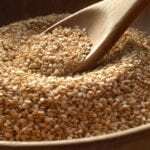 While some oils require special equipment for extraction, those such as sesame, can be extracted from seeds through methods easily achieved at home. Sesame seed oil has long been used in both cooking, as well as in skincare and cosmetic applications. 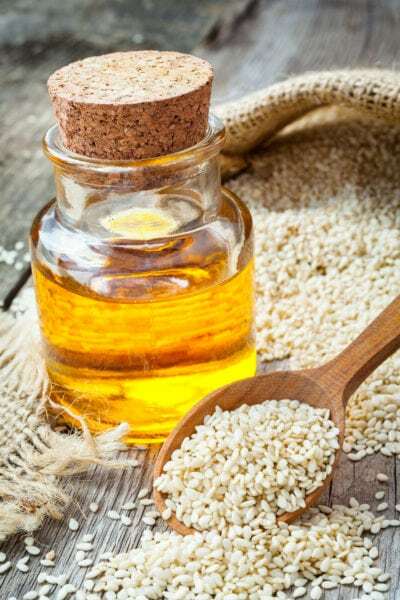 Credited in having many health benefits, creating a version of “DIY sesame oil” at home is simple. Read on for tips on making sesame oil. Sesame oil extraction isn’t at all difficult and can be done right at home. All you need are some sesame seeds, and if you’re already rowing the plant in your garden, it’s even easier. Toast the sesame seeds in the oven. This can be done in a pan on a stovetop or in an oven. To toast the seeds in an oven, place the seeds on a baking pan and place into a pre-heated oven at 180 F. (82 C.) for 10 minutes. After the first five minutes, carefully stir the seeds. Toasted seeds will become slightly darker tan color and accompanied by a slightly nutty aroma. Remove the sesame seeds from the oven and allow them to cool. Add ¼ cup of toasted sesame seeds and 1 cup sunflower oil to a pan. Place the pan on the stovetop and gently heat for about 2 minutes. If planning to cook with these oils, ensure that all ingredients used are food grade and safe to consume. After heating the mixture, add it to a blender. Blend until well combined. The mixture should form a loose paste. Allow the mixture to steep for two hours. After two hours have passed, strain the mixture using a clean cheesecloth. Place the strained mixture in a sterilized airtight container and store in the refrigerator for immediate use.